FRESH CRYSTAL series are products for dishwashers, which contain all the necessary ingredients to ensure pristine cleanliness of dishes and cutlery. Specially designed formula not only enhances the cleaning of dishes, but also helps to take care of the dishwasher itself. Products for dishwashers do not leave water marks and stains, so they are perfect for cleaning glass or porcelain. Our products provide well-washed and shiny dishes, while leaving a fresh, delicate lemon scent in the dishwasher. We guarantee quality at an affordable price. 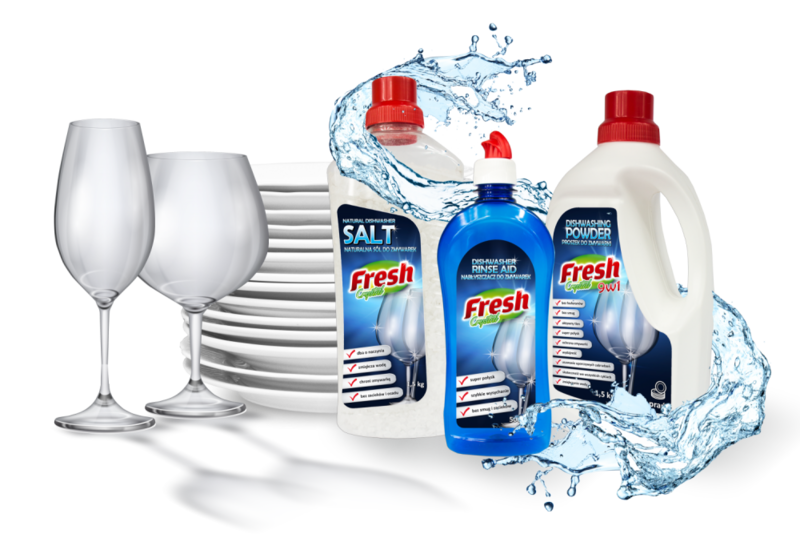 Our offer includes: dishwasher powder, salt and rinse aid.